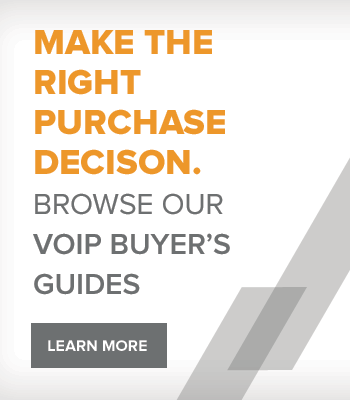 Choosing the right VoIP headset for your Softphone is the first step to improving your phone call quality and overall communication experience. 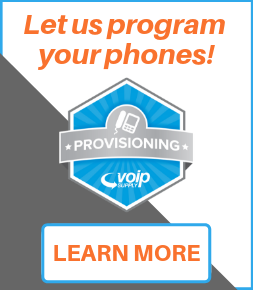 We provide the most complete VoIP Headset catalog from top brands including VXi corporation, Plantronics, Jabra, Sennheiser, and more! 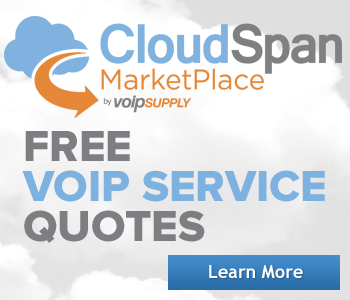 Buy VoIP headsets with user-friendly features such as Voice Quality Optimizer, Portable USB Bluetooth mini-adapter, and Hearing Protection Technology to enjoy the best communication experience. Not sure where to start? Here are some recommendations to get you started! Why buy Softphone/ USB Headsets? 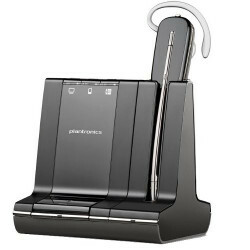 The Plantronics Savi W740 is part of the Plantronics Savi 700 series of Dect headsets. 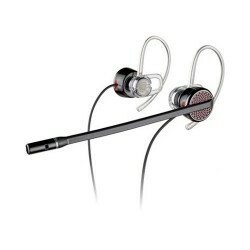 The single ear Savi W740 has three different wearing styles, a noise-canceling microphone that reduces background noise interruptions, and triple connectivity for use with desk, soft and mobile phones. The Jabra PRO 930 is part of the Jabra PRO 900 series of wireless headsets. 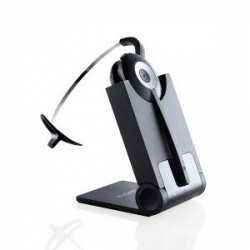 This professional entry-level USB wireless headset has DECT connectivity and been certified and optimized for all leading Unified Communication platforms. 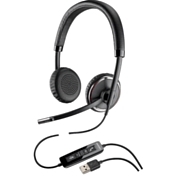 The Jabra UC Voice 250 is part of the Jabra Voice series of USB headsets. This single ear plug & play USB headset can be used with all leading Unified Communications platforms and the latest generation of softphones. 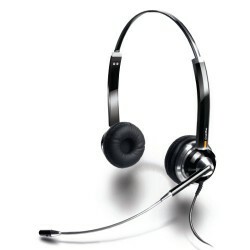 The ClearOne CHAT 20D is a binaural USB headset. 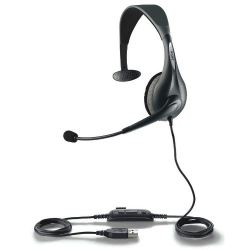 Like other ClearOne CHAT USB Headsets the CHAT 20D features an in-line call controller, microphone noise-cancelling technology and an adjustable headband for a customized fit. 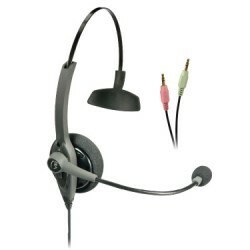 VXI TalkPro USB2 Duo USB NC Headset is a binaural USB headset for use with your PC or other USB enabled devices with inline volume and mute controls. 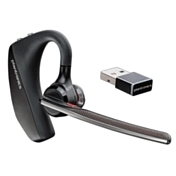 The Plantronics Blackwire C435 is corded USB headset which has both mono or stereo audio options and wearing styles. The low profile design of the Blackwire C435 is ideal for video conferencing, PC telephony and other multimedia applications. 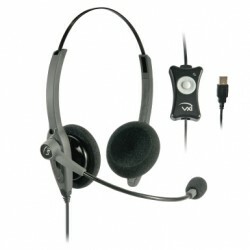 The ClearOne CHAT 30D is a binaural USB headset. 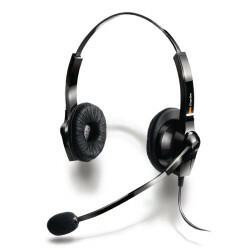 Like other ClearOne CHAT USB Headsets the CHAT 30D features an in-line call controller, microphone noise-cancelling technology and an adjustable headband for a customized fit. 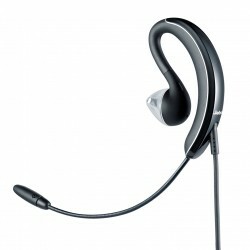 The Jabra UC Voice 250 is part of the Jabra Voice series of USB headsets. 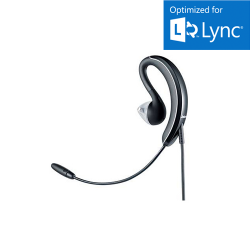 This single ear plug & play USB headset has been optimized for seamless integration with Microsoft Lync and Microsoft Office Communicator. 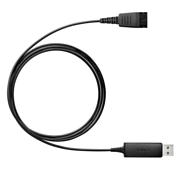 The Jabra UC Voice 150 Mono is part of the Jabra Voice series of USB headsets. This single ear plug & play USB headset can be used with all leading Unified Communications platforms and the latest generation of softphones.